For this upcoming Canadian thanksgiving I looked up a Canadian recipe for salad (you guessed it, made with maple syrup) which goes well with other items on your table. 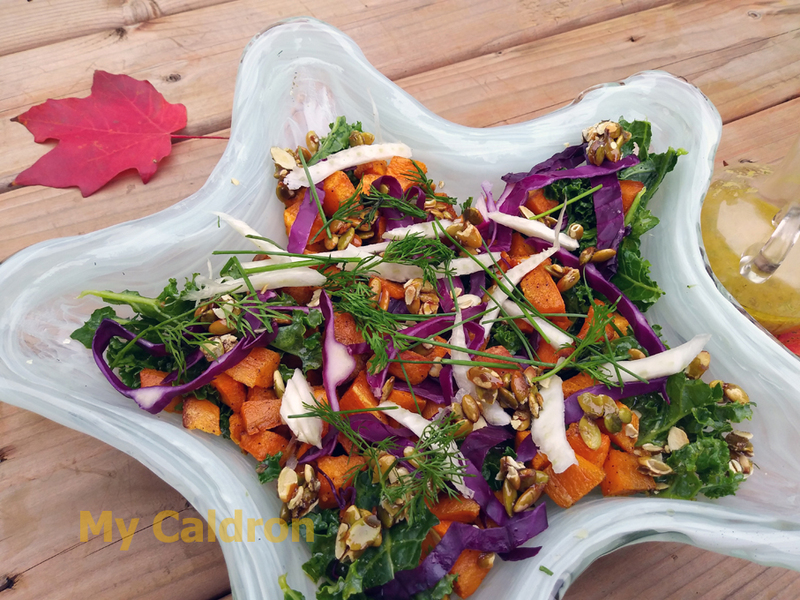 It is called Roasted Sweet Potato Kale Salad with Mustard Dill Vinaigrette. The title pretty much gives away the ingredients, I know, but you would not know how to make it before visiting the link on Food Network! I followed the original recipe (linked above) only modified it slightly by increasing the amount of kale to 5 cups and skipping agave nectar in the sauce. I was super happy with the result – very autumnish colors, filling yet light and refreshing with a sweet-sour taste. For the upcoming Canadian thanksgiving – on Monday 14th of October, it occurred to me for the first time, to pause for an instant, celebrate the day with my family and be thankful for what I have. 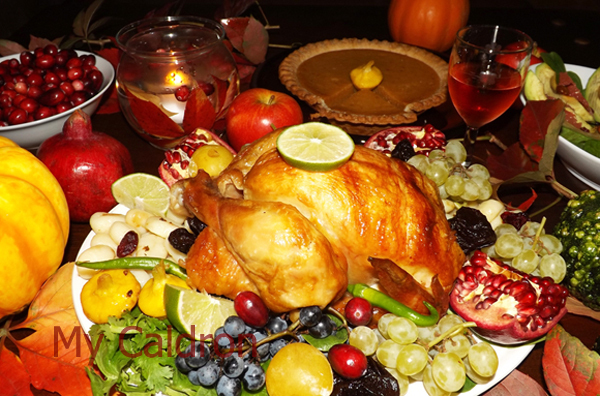 You see, thanksgiving is one of those western traditions I had never bothered to get into its spirit, never really identified with over the past three decades in my second home country Canada. This year seemed different in that I felt the need to cling on to something – ceremonially and symbolically I suppose – to express my gratitude.